New on Utomik: The Flame in the Flood, Raiden Legacy and more! 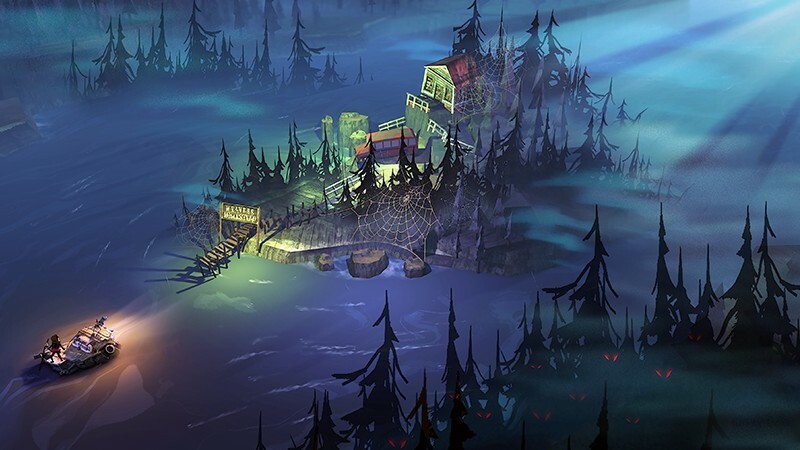 Scrounge for resources as you navigate the treacherous backwaters of a forgotten post-societal America in the stunning rogue-lite The Flame in the Flood. Not being able to settle down, scarcity of resources and often having to be scared of the wildlife you encounter, make this survival game a constantly gripping experience! Raiden Legacy is not one, but FOUR games wrapped into one neat little package. Relive the mega-popular scrolling shmup Raiden arcade series with Raiden, Raiden Fighters, Raiden Fighters 2 and Raiden Fighters Jet. Each of the titles has been enhanced with brand new features, like a remastered HD soundtrack, full gamepad support and two difficulty modes. Did you ever hear the story of the legendary meat farm? Zombillie has and she is hungry for more meat! The road to the farm is filled with puzzles and traps though, so she's going to need your help to reach it safely! Dive into the parallel world inside a mirror in Behind the Reflection to search for clues as to where your missing son is. Dangers lie ahead, but there's no time to waste! Initially a character in a Johnnie Walker commercial back in 1999, Moorhuhn has spawned several games since. In Crazy Chicken Tales he finds a treasure map to the Forsaken Castle of lore. Help him and his friends in this casual adventure to survive the deadly traps on the road to the treasure!